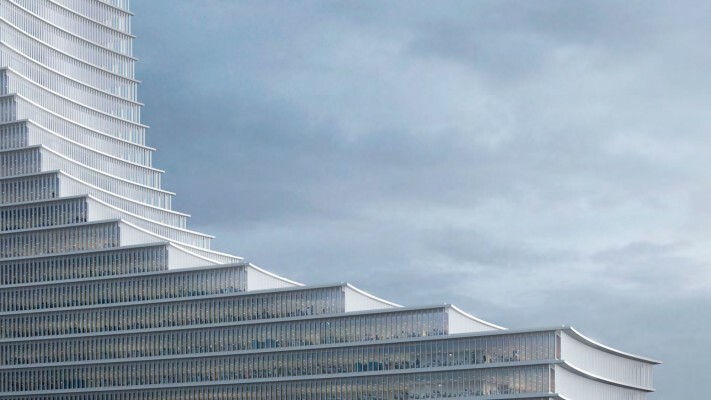 The Elbtower designed by David Chipperfield Architects will be a landmark skyscraper on the eastern Hafencity directly located at the Elbbrücken. The high-rise building is located on a nearly triangular plot, its geometry refers to the distinctive shape of the Elbphilharmonie. With its broad triangular base, which covers seven storeys, it occupies most of the property and then rises steeply. The sculptural form consists of the interplay of its concave building edges. 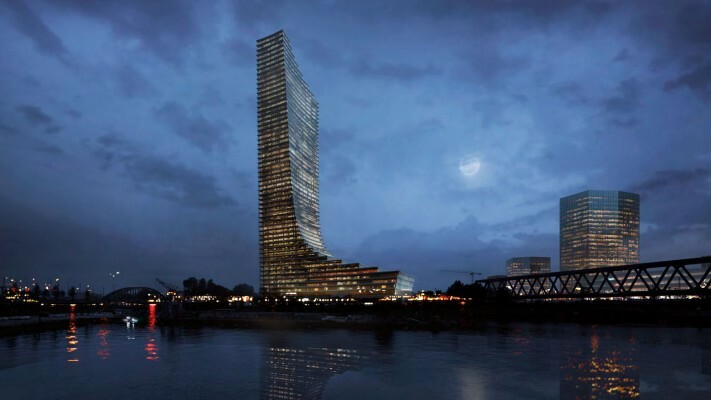 Bollinger and Grohmann Ingenieure is responsible for the façade engineering. 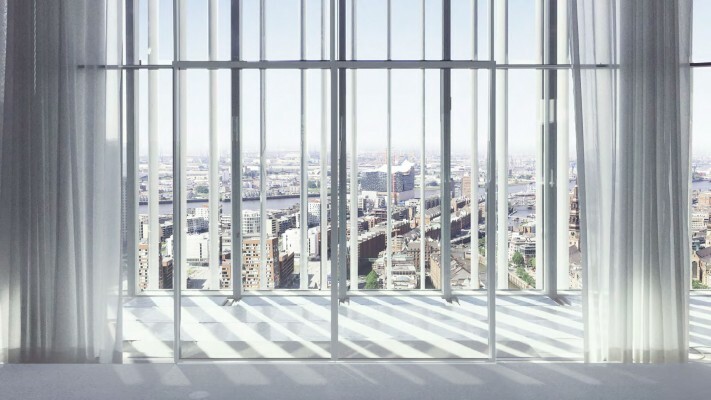 The outer façade structure which encloses the entire skyscraper consists of horizontals, which depict the floor plates are designed as accessible, open bridges. 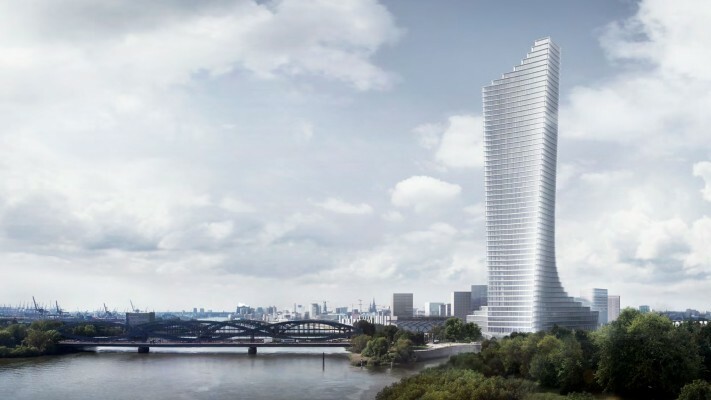 In between them, there are fixed slats which are slightly set back, vertical and floor-to-ceiling, and follow the building cubature and enclose the tower. The layer behind the slats forms the thermal envelope. A single storey element façade with large-area fixed glazing in a grid of approx. 1.35 m enables economical production as well as installation. Depending on the weather conditions, opening elements can be integrated and contribute to the natural ventilation and thus to the comfort and sustainability of the building.